Rare is the master who stamps the image of a whole gharana by the sheer dint of his personal style or gayaki. In Pandit Jasraj, the Mewati gharana has found just such a genius. For although the gharana traces a long lineage through his father and uncle, Pandit Motiram and Pandit Jyotiram, and Ghagge Nazir Khan Saheb (pioneer of Mewati Gharana), to Bade Mubarak Ali - the son of the legendary Bade Mohammad Khan of the Kawwal Bacche tradition - it is only with the coming of Pandit Jasraj that the gharana acquired its present public acclaim, able disciples and acknowledgement from the cognoscenti. Pandit Jasraj lost his father, the late Pandit Motiram (a court musician in Hyderabad) when he was still a child. Yet, blessed with an extremely tuneful voice and inborn talent, he made the best use of both under the training of his elder brothers Pandit Maniram and Pandit Pratap Narain. 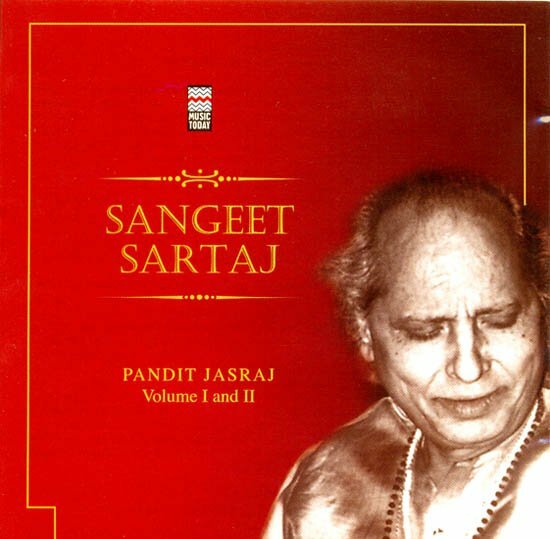 Pandit Jasraj has a unique collection of compositions, the lyrics of which have been penned by Maharaja Jaiwant Singh, the Waghela ruler of Sanand, a principality in Gujarat. Steeped in Bhakti, these lyrics lend to the Mewati repertoire a distinct flavour. Over the years, apart from achieving worldwide success and honour, Pandit Jasraj has coined a passionately personal idiom which endeavours - in the best tradition of Bhakti - to raise the sensual to the sublime.